Firstly… accept the fact that it is UNREALISTIC to expect everyone to love your work. In life, not everyone will like us, and the same goes for our book babies. People have a perfect right to express their opinion and will freely do so, especially if they have forked out hard-earned pennies to buy your novel. Try not to take their view personally. Secondly… Learn to differentiate between the constructive reviews and insulting ones. 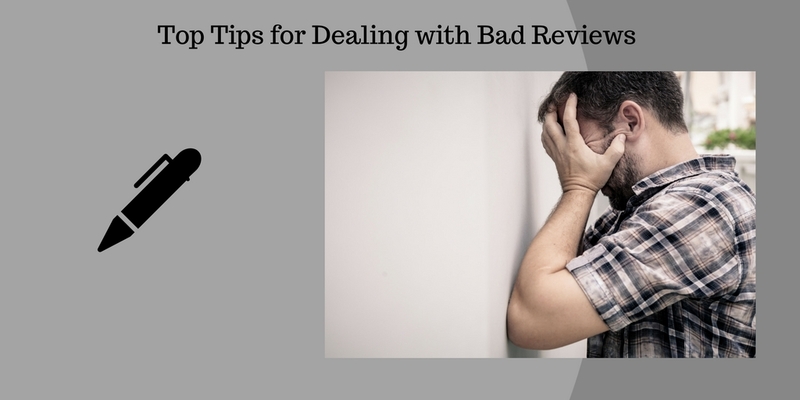 I always read my bad reviews (not all authors do!) and you become used to spotting a personal or offensive tone. Fortunately, they are rarer. Most reviewers take the time to explain their point of view fairly, and I do take on board the comments that are constructive from those reviews. Really, it’s a gift, being given an insight into how someone else sees your work. “I really wanted to enjoy this book, but…” or “It just didn’t work for me because…” On occasion, some observations have made me reconsider my writing techniques, and question them next time I put finger to keyboard. I truly appreciate the time anyone takes to write a review and understand that if someone has felt disappointed, they need to express why. On the journey to publication I had to take a lot of criticism on board and I don’t see why this should stop, simply because I am now published. Thirdly, in the words of Kate Moss… Never complain, never explain. DO NOT ENGAGE WITH WRITERS OF BAD REVIEWS. They are entitled to their view. Don’t moan about it. At the same time, do not feel the need to explain or justify yourself. Just let it be and move on. Fourthly… be mountain-like. Lately I have developed an interest in meditation and one visualisation I do involves looking at a mountain and then becoming the mountain… let me explain: a mountain never changes. It stands solid. Whether it is spring, summer, autumn or winter. Whether it is day or night. Whether it is sunny, rainy, windy or snowing. Whether a visitor to the mountain calls it beautiful – or calls it plain… the mountain is not affected by any of these external changes. It remains strong within itself. In other words, as long as you are being true to yourself with your writing- and, in my opinion, have an open-mind regarding your agent’s/editor’s advice and revisions – then nothing else matters. Stand firm amidst all the weather and be proud of your work. Finally… try to keep a sense of humour and perspective. Be grateful! You’ve made it! Your work is actually out there and people are reading it. Okay, some may not like every page, but at least your novels are finally getting an audience which, presumably, is something you have worked very hard for. I devoured this book in a day! Harsh comments do hurt – of course they do – but don’t dwell on them. Eventually, you will be able to read them with a wry smile. 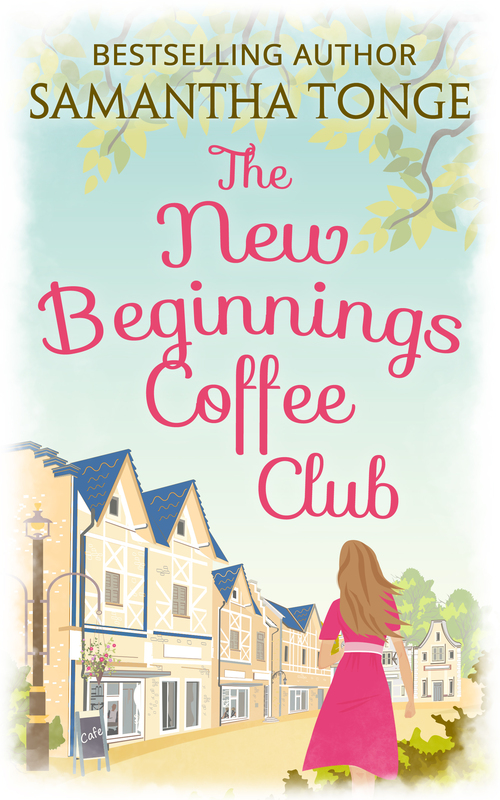 I am just bracing myself for the reaction to my eighth novel, released on 5th May, The New Beginnings Coffee Club. It has one of my most favourite characters ever in it and I very much hope my loyal readers enjoy the story – along with any new readers who might be fans of coffee 🙂 But who knows. Let’s hope I don’t need too many strong americanos when reviews come in! 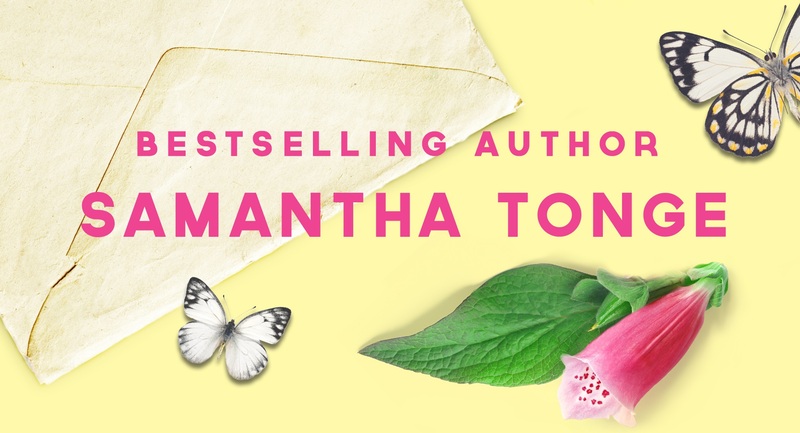 This entry was tagged author, bad reviews, coffee, Kate Moss, new beginnings, pubishing, publishing, reviews, romance, samantha tonge, writing. ← The Great British Write-off! Great advice and nicely balanced. Sage advice, Sam – it hurts, but we’ve got to take the rough with the smooth! Thanks Maggie – yes, no way around it and, sometimes, an insight into where others think you are going wrong can be a positive! Wonderful advice! And, in the words of my teenager: “You know you’re doing something right when you gain some haters.” I guess they come with visibility as well. Thank you for sharing your post! I love this, Sam! When I get a bad review I’ll read it, take on board any constructive feedback, and then I’ll read some of the good reviews to remind myself that opinions differ. It’s taken time to build the tough skin. I love the mountain visualisation! Thanks Shelley – yes, I strive to be mountain-like about a lot of things!